Thea Lavelle has a lot to juggle: a teaching career that is ramping up, keeping tabs on her globetrotting family and fine tuning her craft.Thea is a hereditary witch whose gift came late. She’s still learning exactly what her wayward magic can do, but on meeting Marc, her best friend’s brother, she soon discovers her magic has some firm ideas about it wants.The fates have been pushing Marc back home, to the bay of his teenage years. He knows that grief and guilt have left him burnt out, and that his family’s particular skill with healing is the best place for him.He’d left home not knowing what he was searching for. 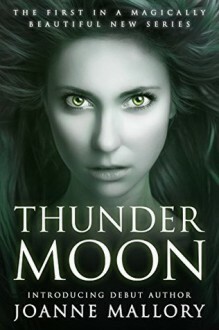 Could it be that she’d been in Langston Bay all along?Thunder Moon is the first in a trilogy of love, family and age-old magic.